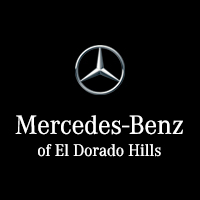 At Mercedes-Benz of El Dorado Hills, we know how important your time is, and that’s why we are proud to offer Mercedes-Benz Express Service. While some dealers could leave you in their waiting room for hours, that’s not the Mercedes-Benz way; with Express Service, our service team gets you in, out, and on your way in less than an hour – no appointment necessary. What Does Mercedes-Benz Express Service Include? If your vehicle needs in-depth work that does warrant more time, we will let you know as soon as possible and make arrangements to fit into your schedule. If you have any questions about what services are covered under Express Service, don’t hesitate to reach out to our service department (you can contact us online or by phone at 888.336.9269). Feel free to schedule your service appointment or simply drop by our service center unannounced and receive the same service from Mercedes-Benz Master Technicians.